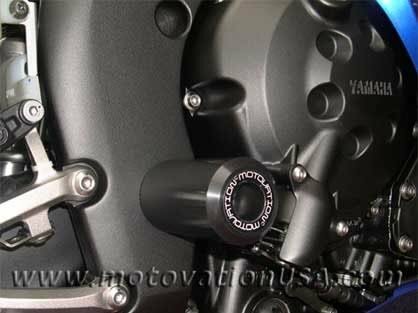 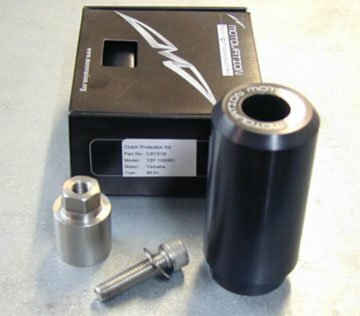 Motovation designed this slider to help protect your expensive clutch housing during a tip over or low-side. 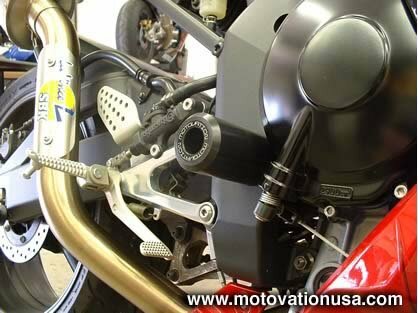 The clutch slider fits onto a specially designed machined stainless steel fitting that replaces the nut on your swing arm bolt. 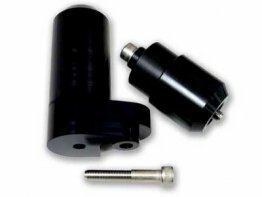 The slider installs onto this fitting with a galvanized socket head cap screw. 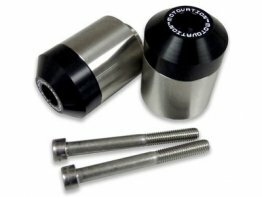 An easy install with minimal tools.